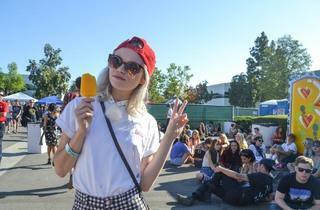 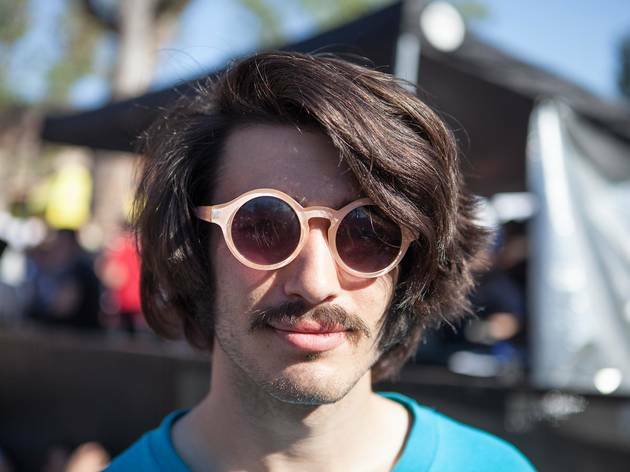 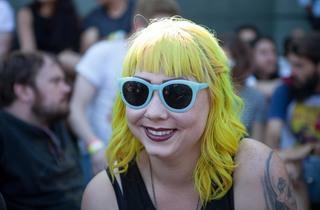 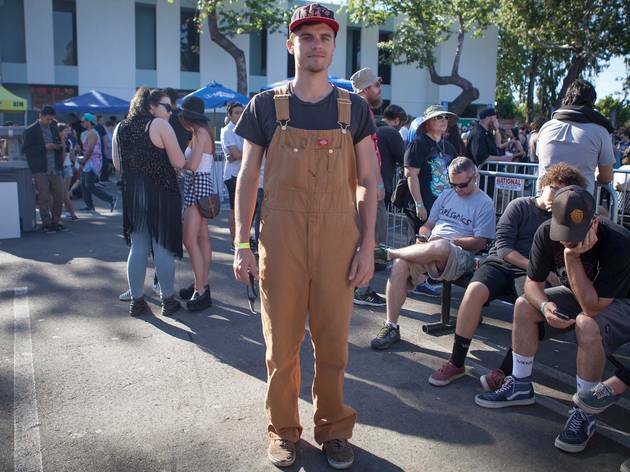 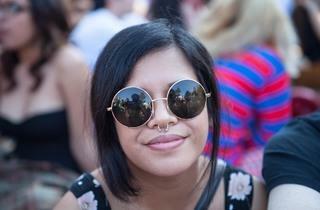 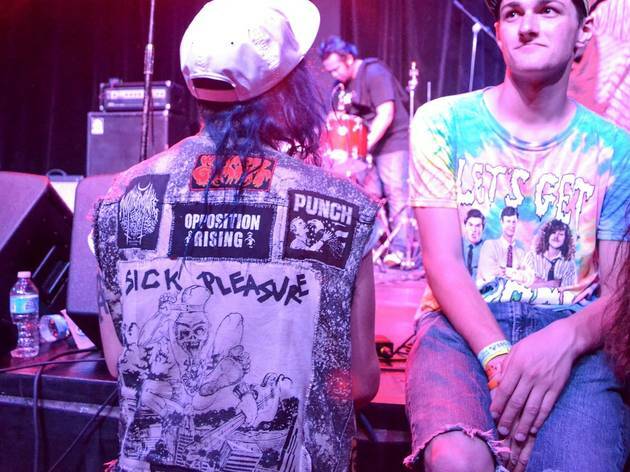 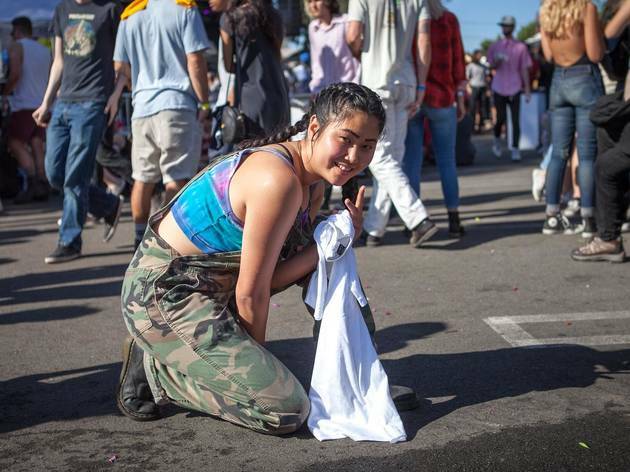 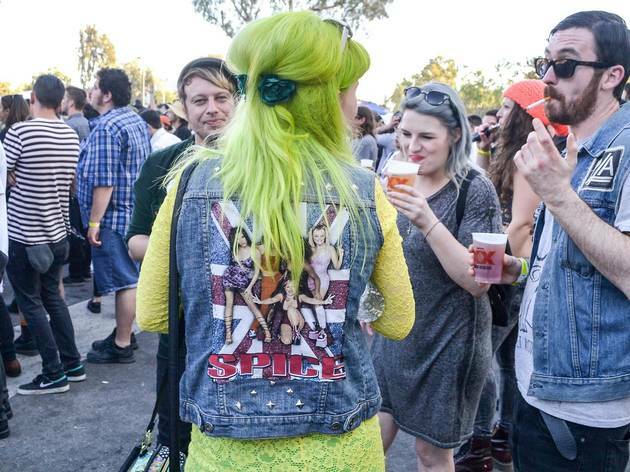 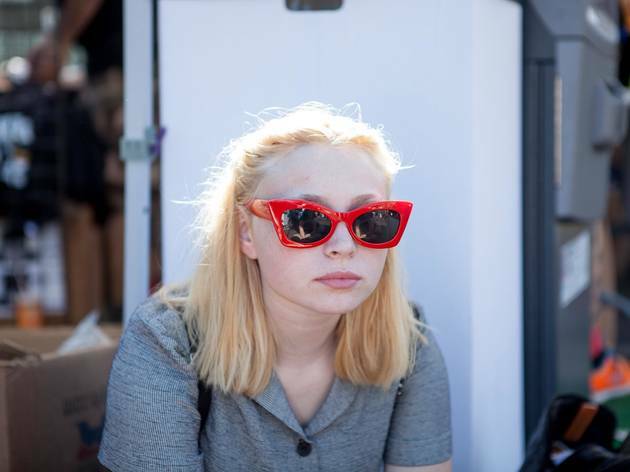 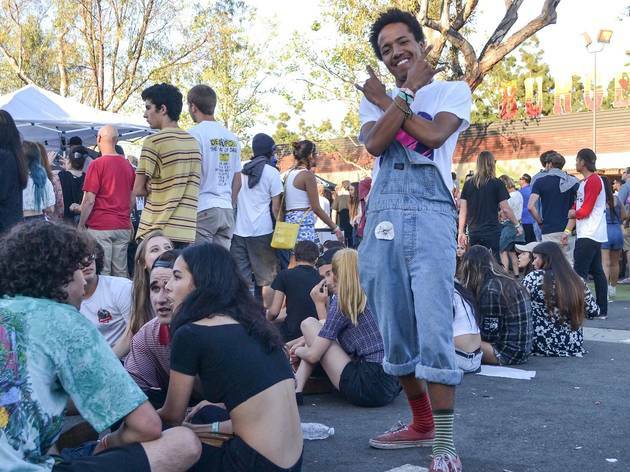 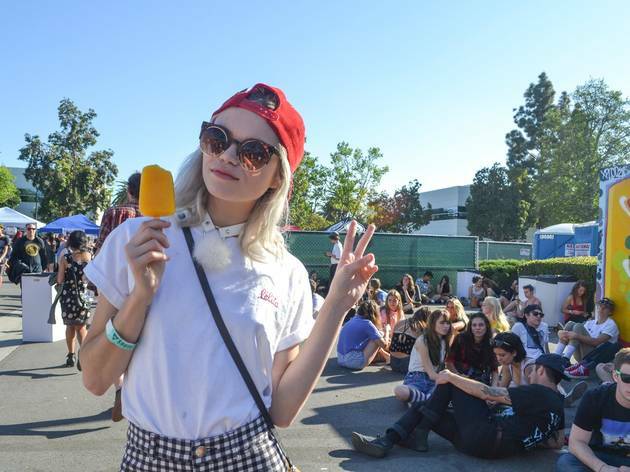 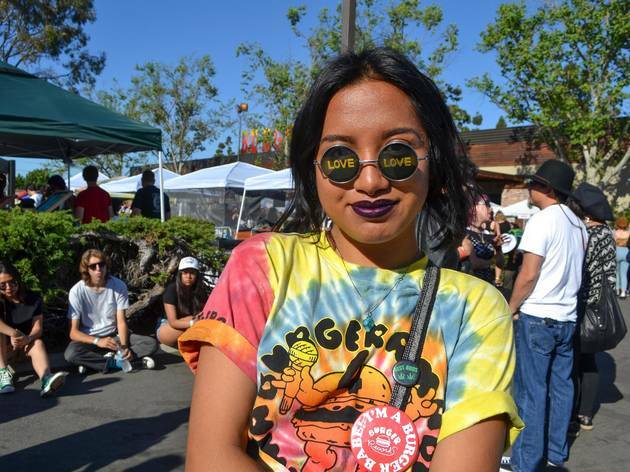 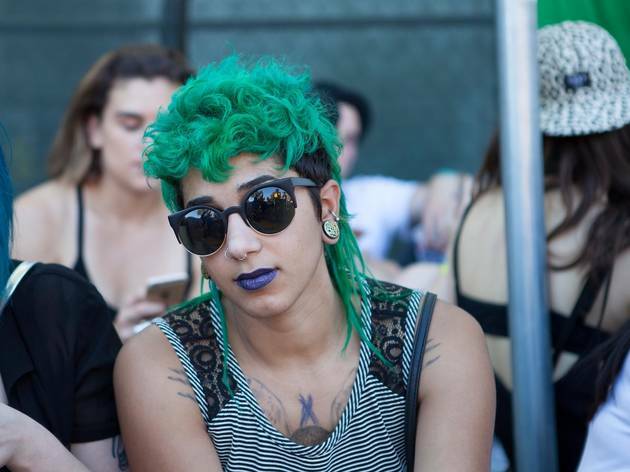 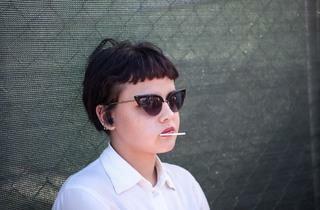 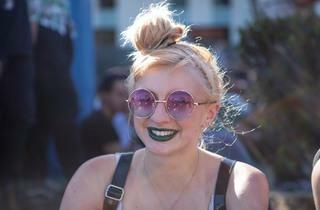 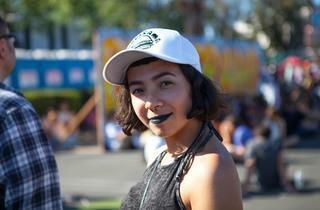 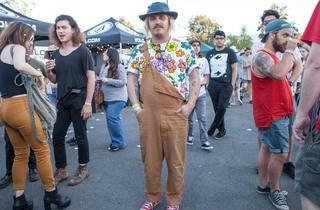 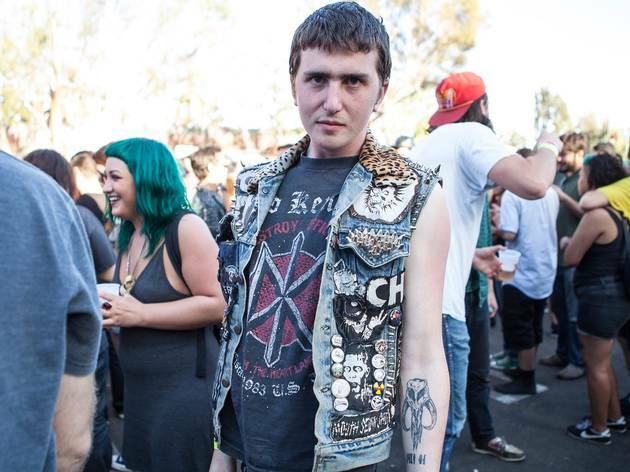 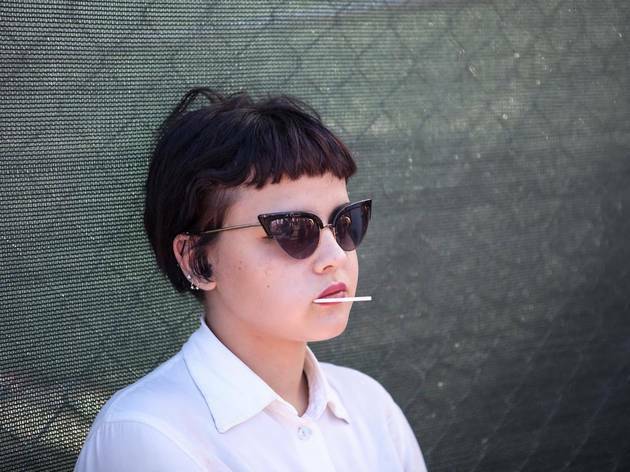 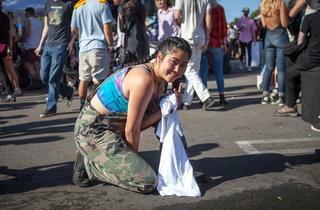 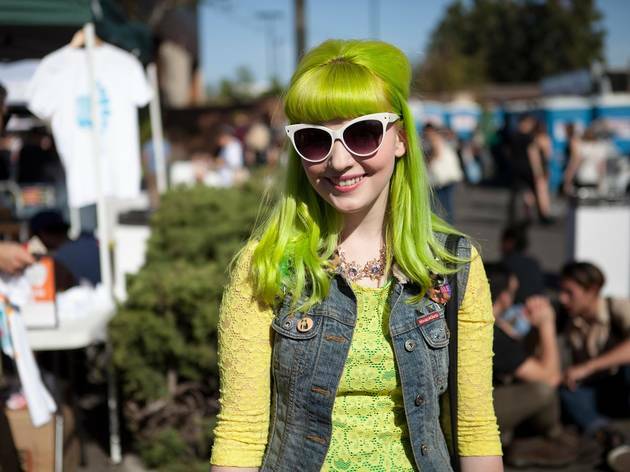 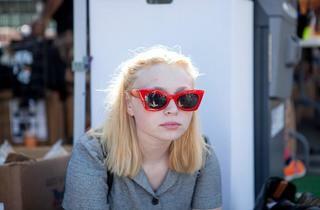 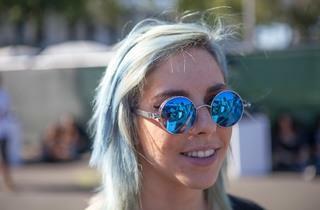 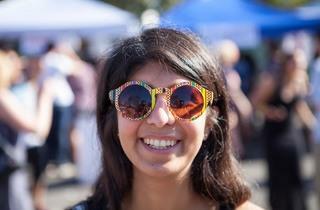 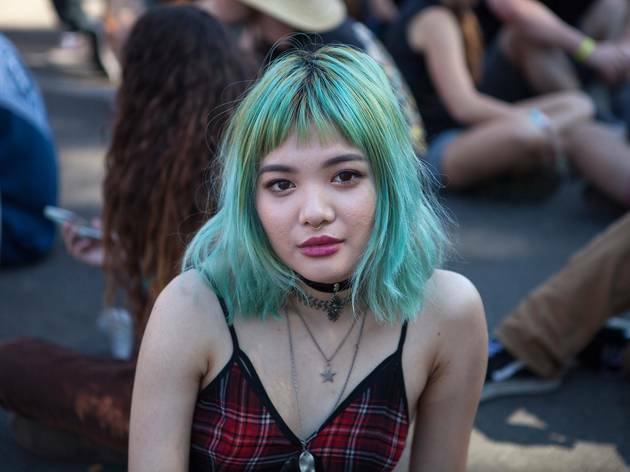 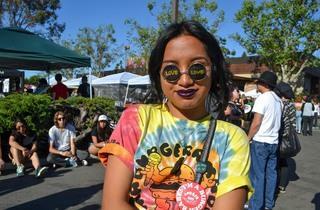 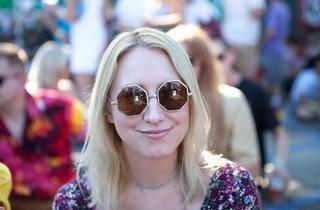 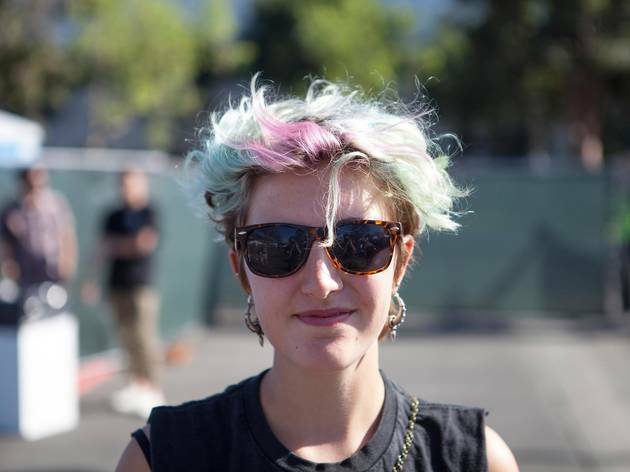 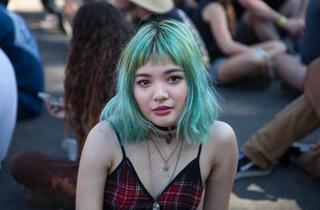 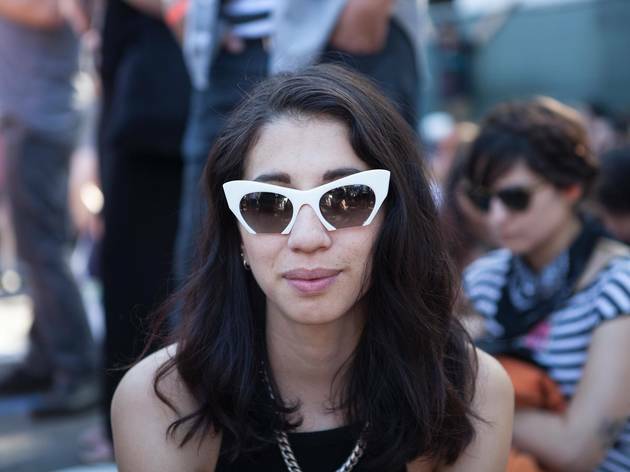 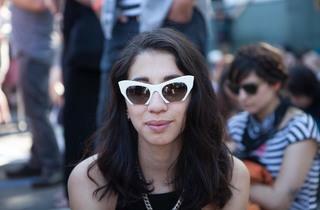 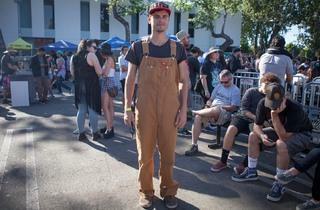 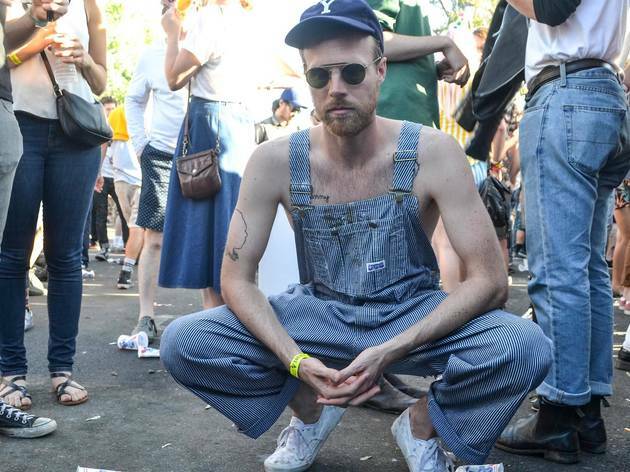 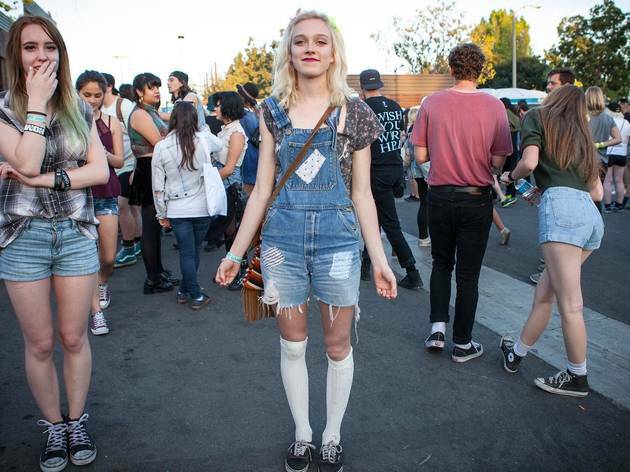 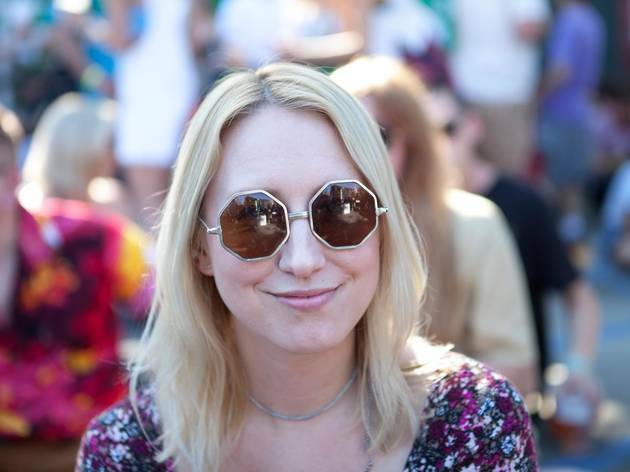 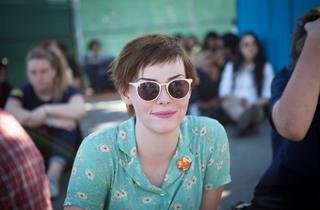 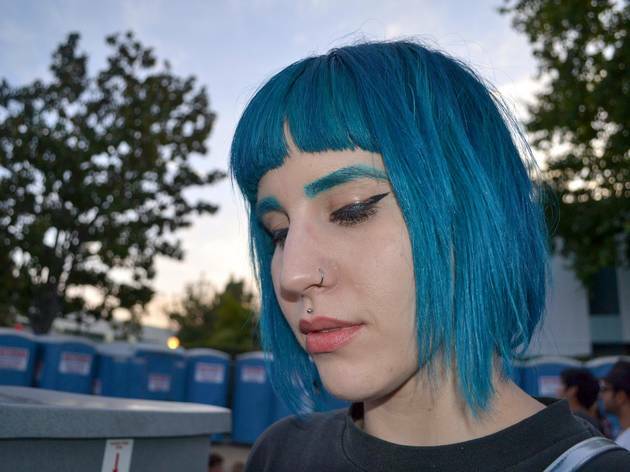 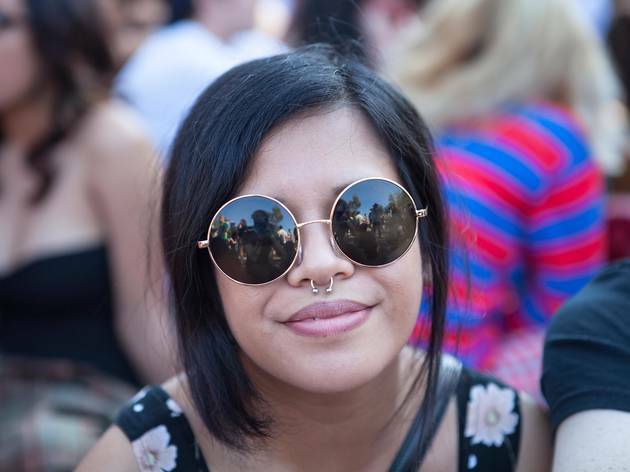 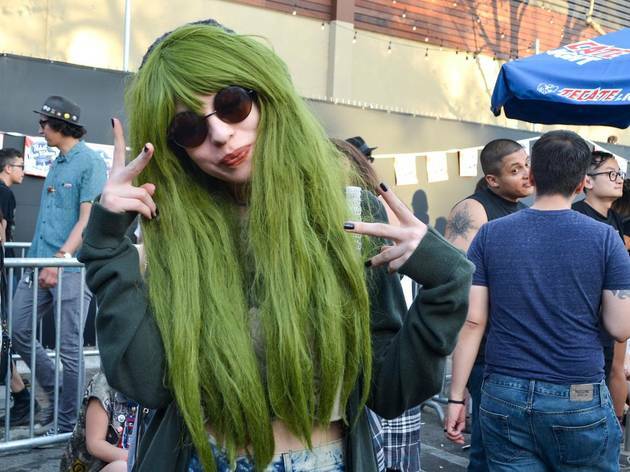 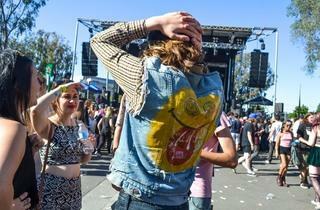 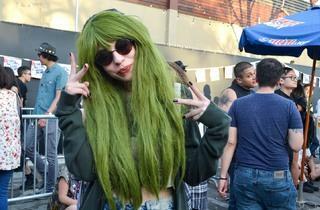 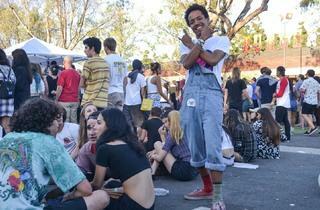 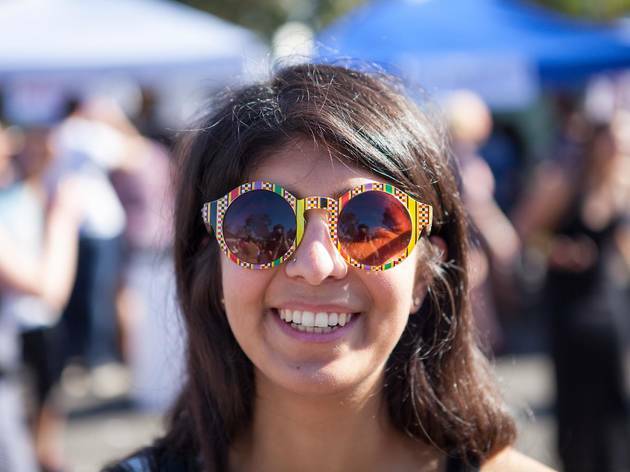 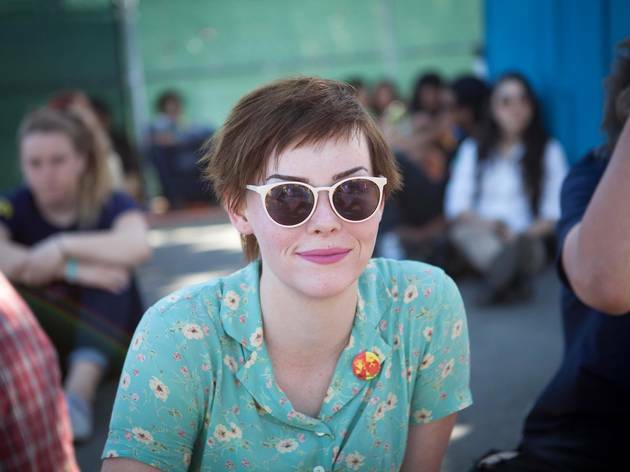 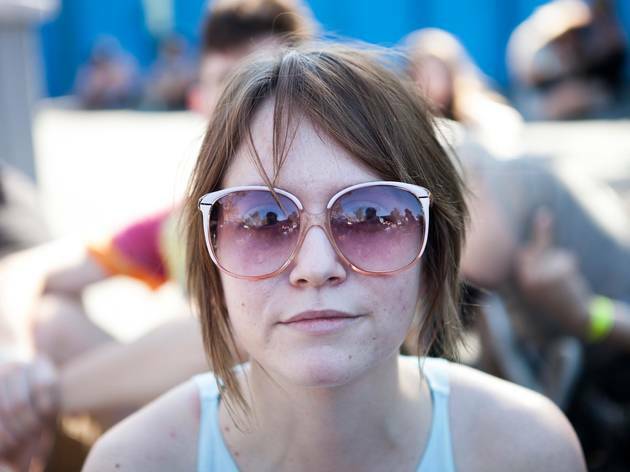 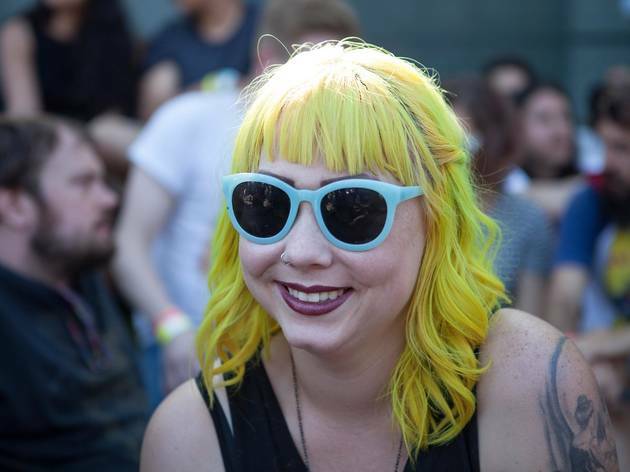 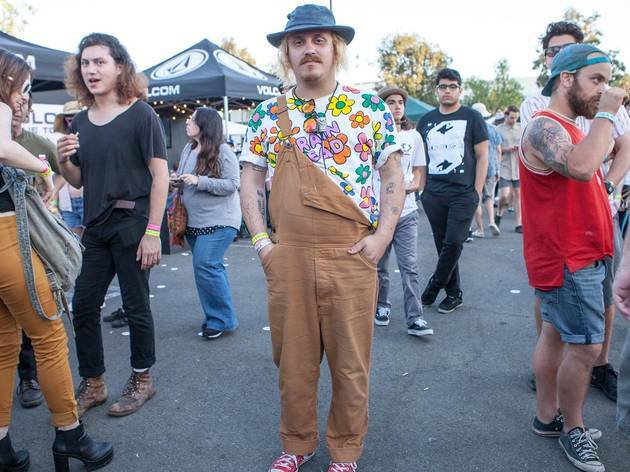 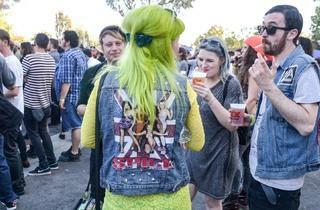 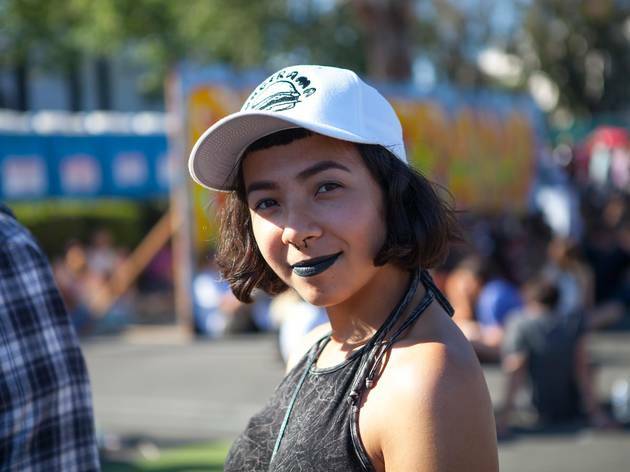 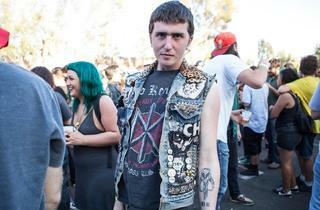 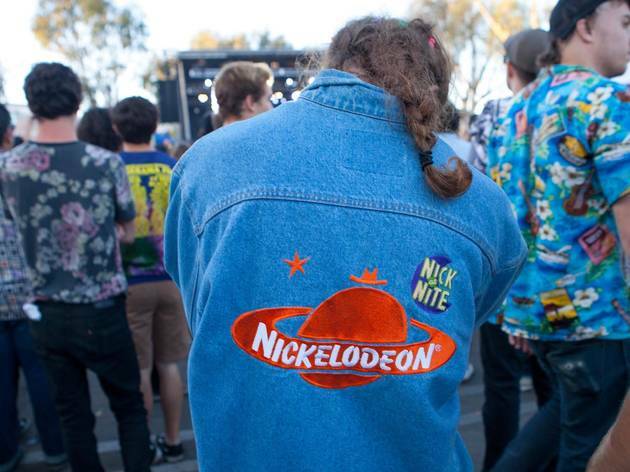 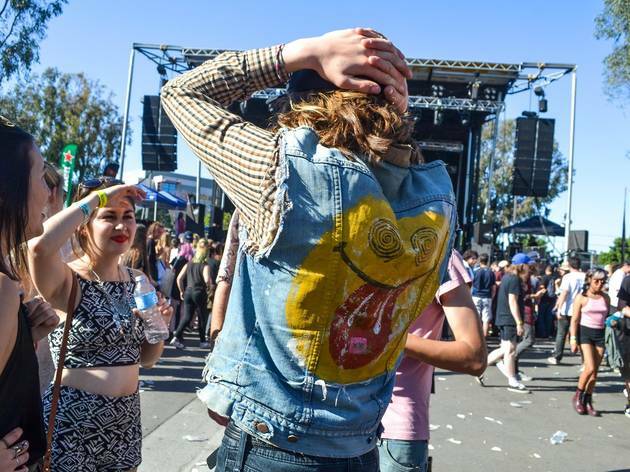 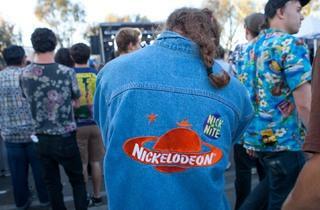 So many smiles, so many styles at Burgerama 2015. 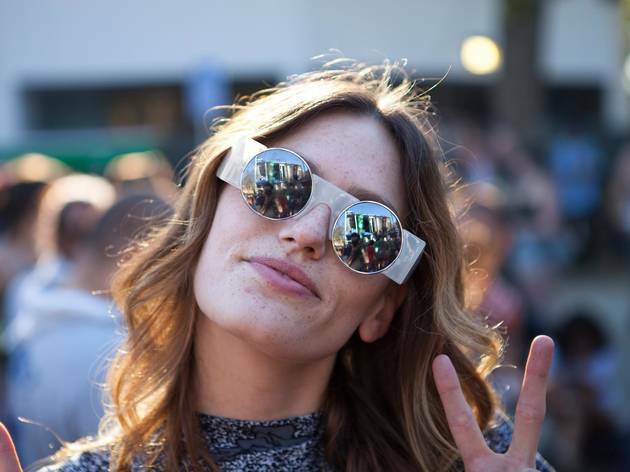 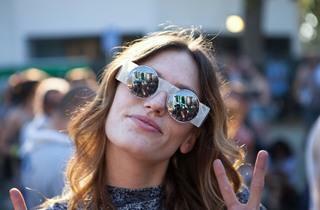 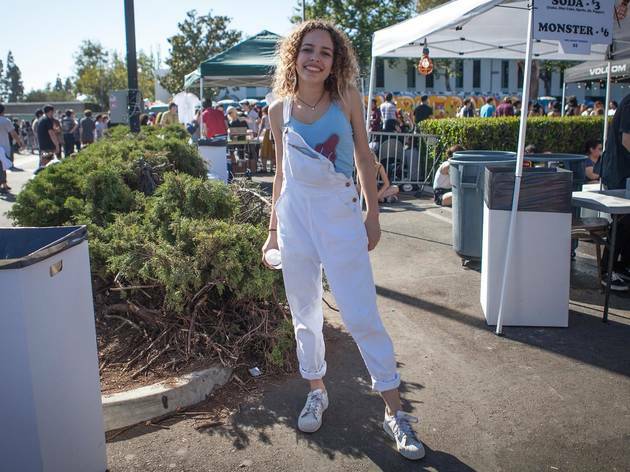 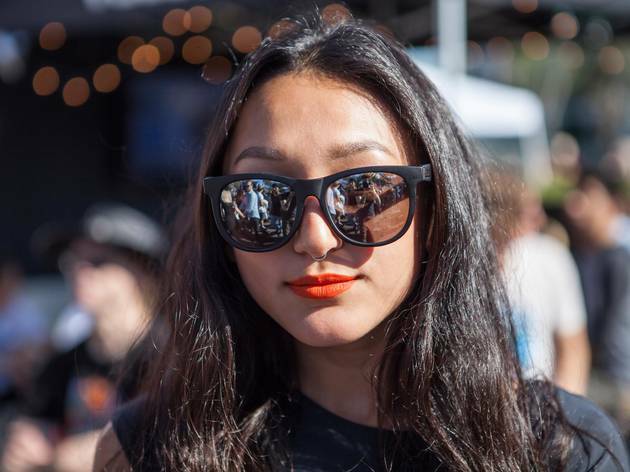 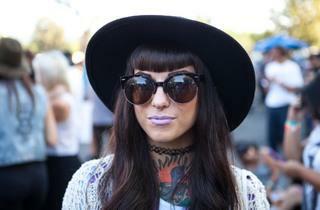 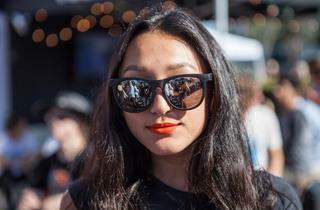 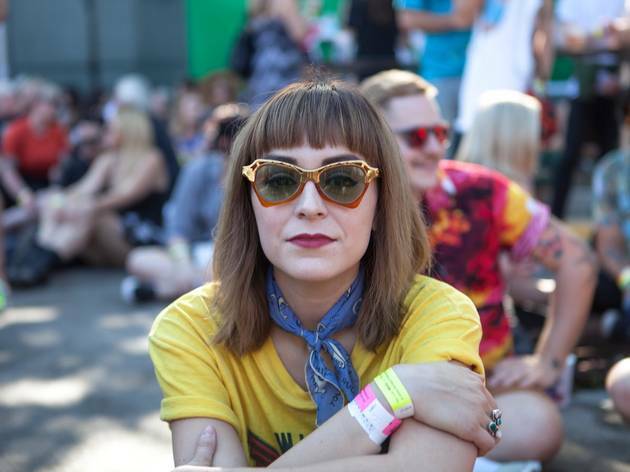 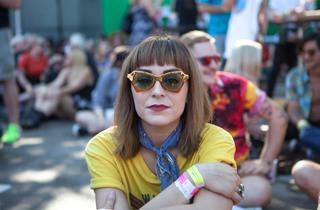 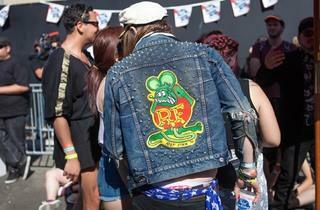 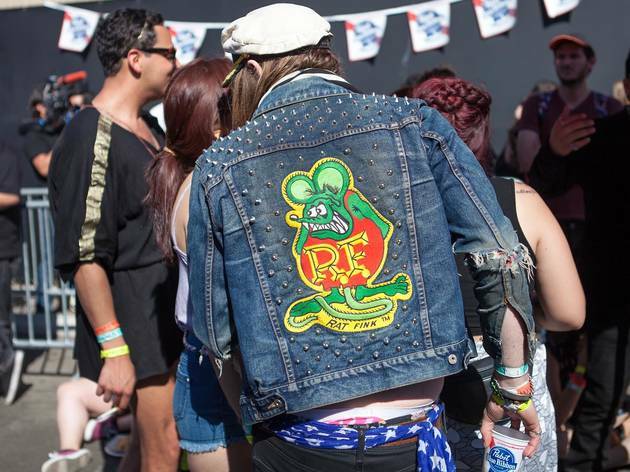 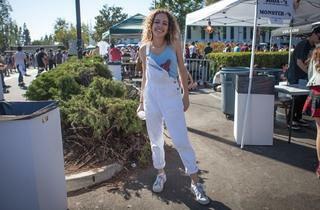 The fest was filled with friendly, fashionable babes, and we've rounded up our best shots to show off some of the style trends we noticed. 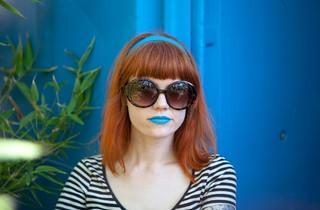 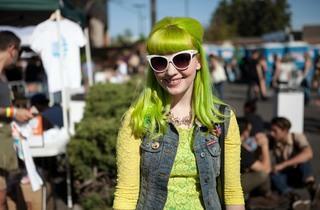 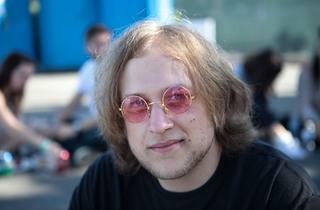 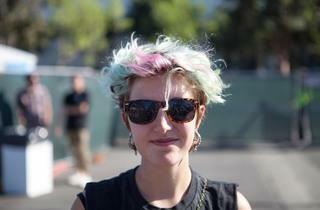 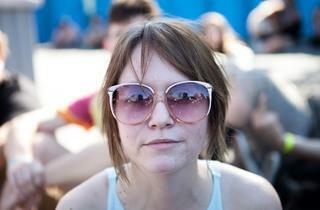 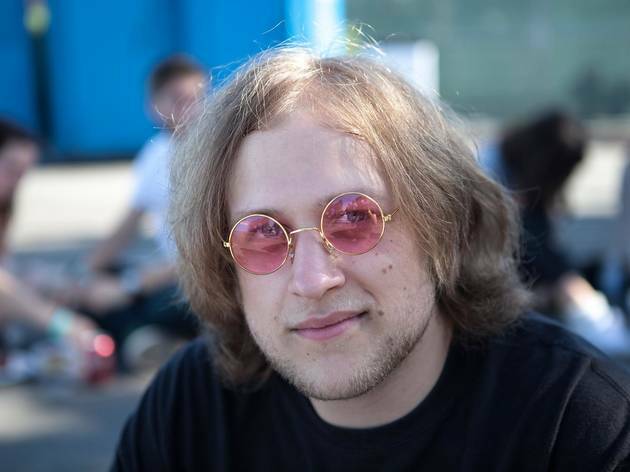 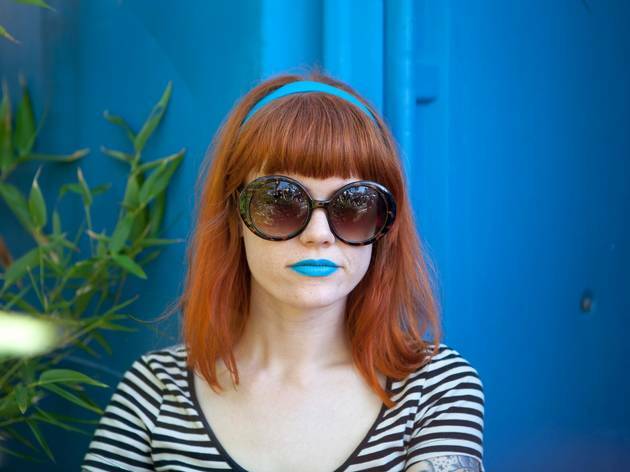 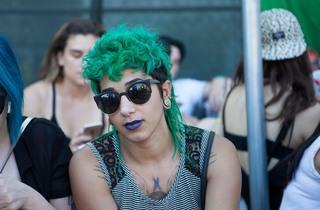 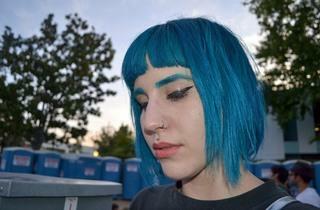 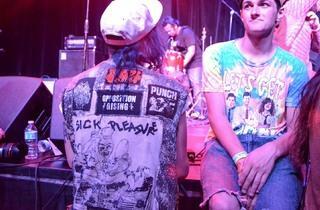 Brightly colored hair is way in, even for guys. 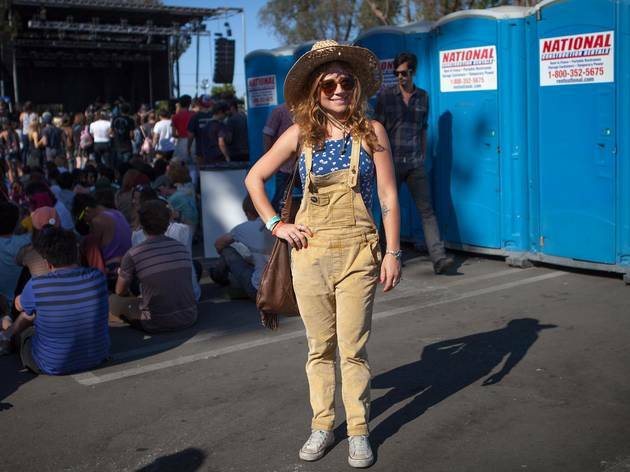 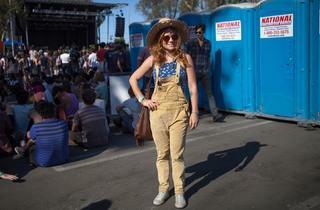 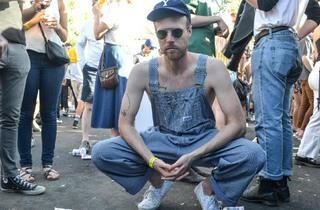 As are overalls, which seem like a convenient choice, especially with nothing underneath. 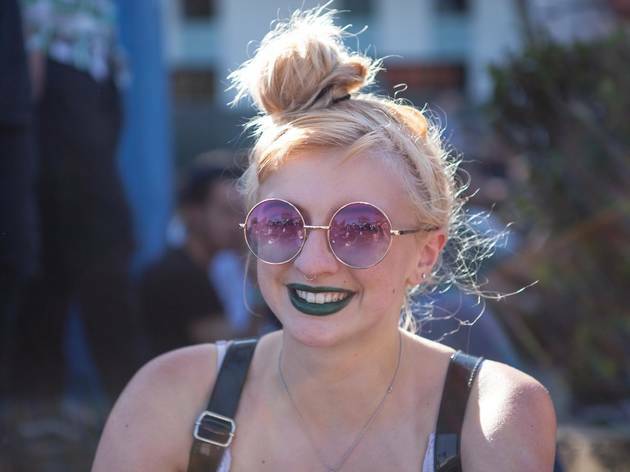 Ladies sported lots of lipstick, and across the board we noticed bold sunglasses and lovingly-adorned jean vests and jackets.